Lemongrass is a plant that is native to India and a large part of Asia, where it is most commonly used as a culinary and medicinal herb. Despite being considered a native to several parts of the Asiatic continent, this hardy plant can grow nearly anywhere provided that the weather be at least warm and semi-tropical. It thrives in the tropical areas of the Old World, and Oceana and is typified by its long, slender, silky-coarse and often sharp, pointed leaves and red stalks. This hardy plant grows year-round and can be harvested by simply cutting off the leaves from the stem that is implanted near the ground (this is done to promote re-growth), or otherwise pulled out of the ground and used roots, stems, and leaves in-all . Lemongrass is known for its distinct citrusy aroma, all the more redolent during balmy nights when it can be wafted into the surrounding area. A mild to strong decoction of lemongrass is a useful tea to aid in digestion, as well as to help relieve the symptoms of colds and fevers. It may also be drunk prior to sleep to help relieve stress and anxiety. Lemongrass tea may be drunk as a quick remedy for upset stomachs, diarrhea, and dyspepsia. Some studies have even suggested that lemongrass can help to fight certain types of cancer, making it a highly potent herb to always have around the kitchen. In magickal practice, lemongrass is used in much the same way sweet grass is used by Native Americans. 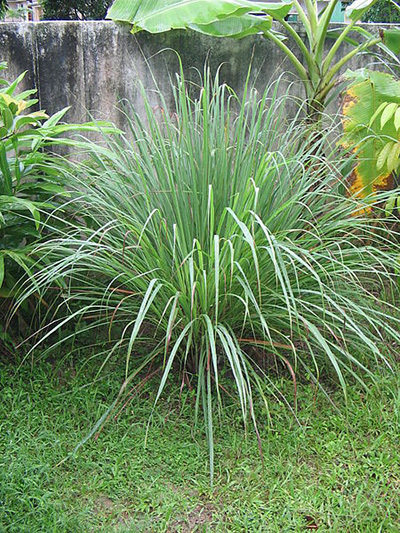 In Filipino shamanism, dried lemongrass leaves are burnt by shamans as an offering to forest spirits, or as an offering to gods. Dried lemongrass may also be used as a in incense that is wafted around the community to help ward off illness or hexes, and can double as a smudging herb to cleanse one's person prior to initiating any ritualistic activity. Care should be taken when consuming lemongrass in excess, for while it may be therapeutic, it can, as with most herbal remedies, interact with synthetic medicines and may cause detrimental side-effects. People with hypoglycemia and people who suffer frequent bouts of hypertension should use lemongrass sparingly, if not at all.